A state of the art CCTV system and award winning control room operating 365 days of the year, 24/7, has seen town centre crime levels fall significantly. The high definition cameras, including ANPR and loud speaker system, have proved invaluable in crime prevention and criminal arrests keeping the town centre safe for businesses and their customers. 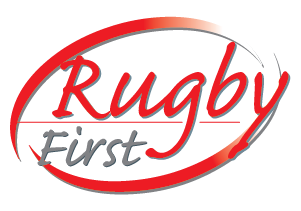 Highly skilled Rugby First CCTV operators working closely with the Police and Rangers, sharing information, to target criminal activity quickly and decisively. Town Centre Radio Link allowing CCTV operators to work closely with businesses and the Police, through the ShopNet and Pubwatch schemes, to share information, track offenders and proactively target and prosecute criminal activity. Loud speakers that issue verbal warnings have proved particularly effective and successful in discouraging antisocial behaviour and fights before they escalate. Cameras that record live and use the most up-to-date digital equipment increasing the likelihood of arrest and prosecution. Direct radio links to the Police meaning quicker response times to security threats or incidents. High definition cameras that enable criminals and their activity to be easily identified and ultimately prosecuted. ANPR technology to track vehicles and stop those involved in criminal activity. The technology has proved particularly effective in targeting travelling gangs that use the motorway network to target our town!